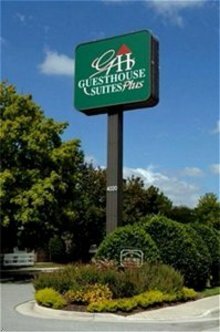 GuestHouse International Suites plus is an all suite hotel conveniently located to Cummings Research Park, Redstone Arsenal, Von Braun Center, restaurants and shopping centers. Each of our suites offers a fully equipped kitchen, living area with fireplace and sofa sleeper. A deluxe complimentary continental breakfast is provided each day. Now offering high-speed wireless Internet with virtual privacy network. Offsite fitness privledges available.